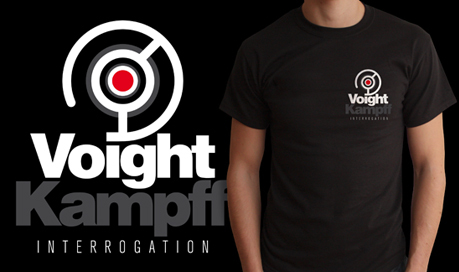 Inspired by the fictional interrogation tool used in the film Blade Runner and new to the Last Exit to Nowhere range are these Voight-Kampff T-shirts. Three colour original design on 100% black cotton. Quote HOSTAGE15 throughout January 2012 for 15% off this product.